Upon arrival, you will be met by your private driver who will accompany you and your luggage to the Conservatorium Hotel, the finest contemporary hotel in the city. Ideally located in the museum district. Here you will settle into your room and enjoy the rest of the day at your leisure. Today you will be in the hands of a real Amsterdamer ( a Local) He/she will explore the city with you. Enjoy breakfast at the hotel and then meet your guide in the lobby for a short walking tour to ease you into your surrounding. 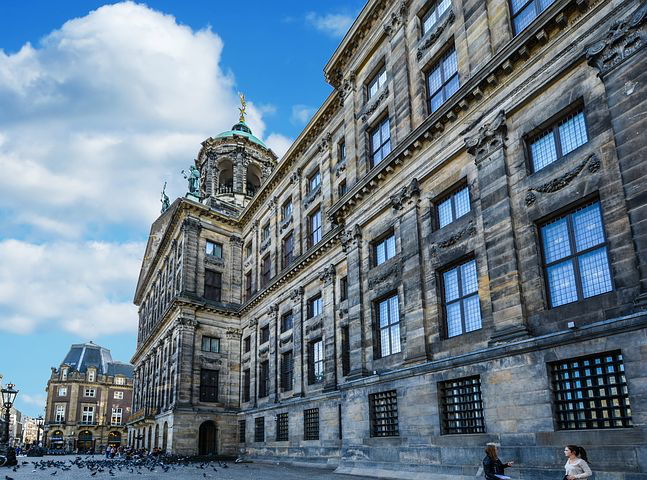 You will pass some of Amsterdam’s monumental highlights such as the Dam Square with the Royal Palace, the Old Church, The Begijnhof, The Vondelpark, The Jordaan neighborhood, and the, flower market. You will have lunch in the city, recharge and get ready to visit the best museum in the city, the Van Gogh Museum. This Museum is dedicated to the works of Vincent van Gogh and his Contemporaries. 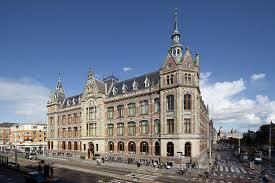 Also, visit the Rijks museum, this museum was newly refurbished and is desiccated to art & history. 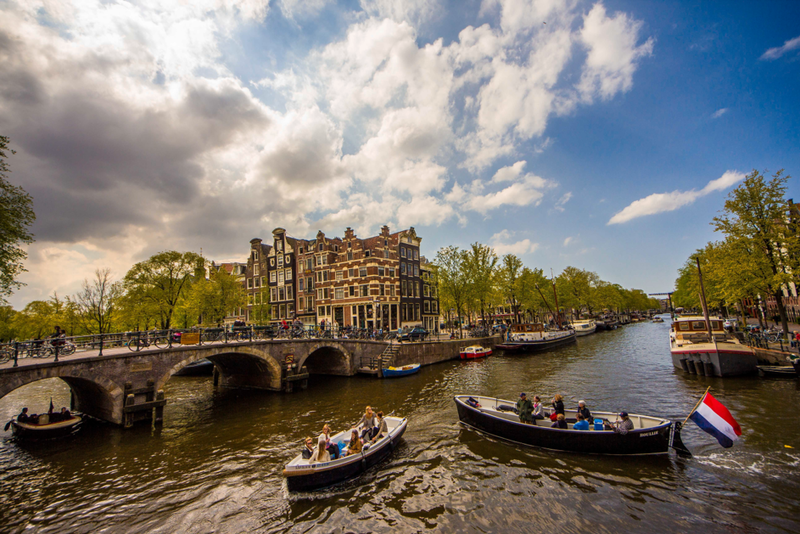 In the early evening you’ll head back to the Hotel to refresh, and get ready for a 2hr private cruise through the main waterways ( Prinsengracht, Herengracht, Keizersgracht, and Sigel) this cruise will be exclusive because not many cruises travel here. After the Cruise, the rest of the evening will be at your leisure. 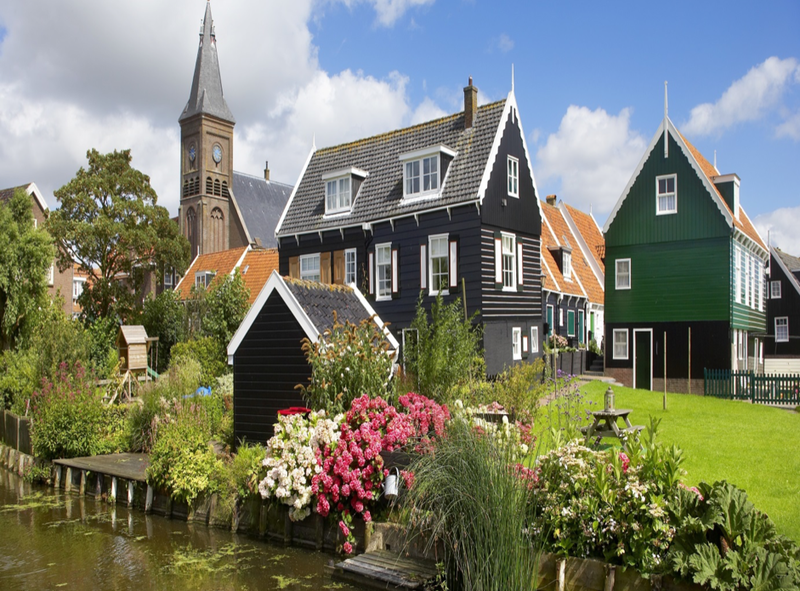 In the morning you will check-out of the hotel and then transfer by car to Broek in Waterland, a small village where you will see traditional houses situated on pillars as well as traditional green painted houses. This village is full of fascinating architecture and history which makes it a must-see village to stroll through. 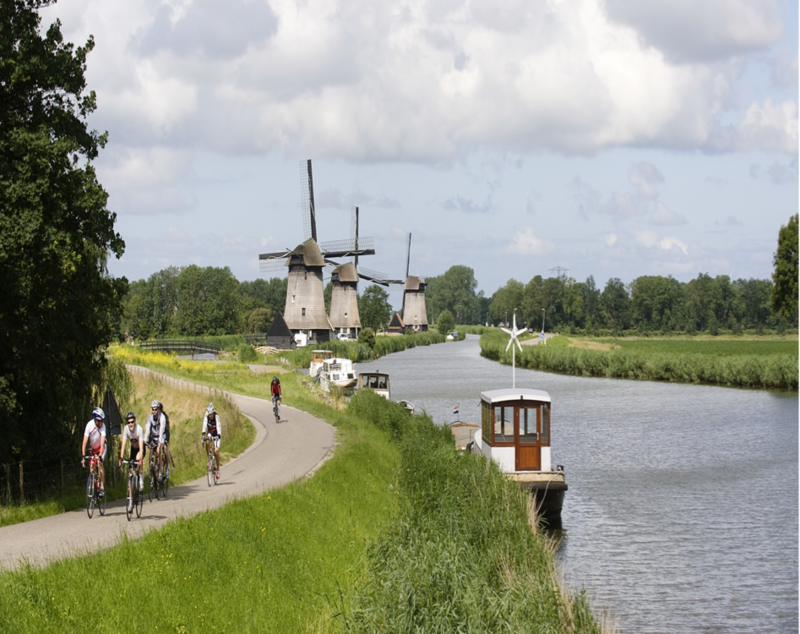 It is located just outside of Amsterdam and is also the perfect spot to start your bicycle tour. 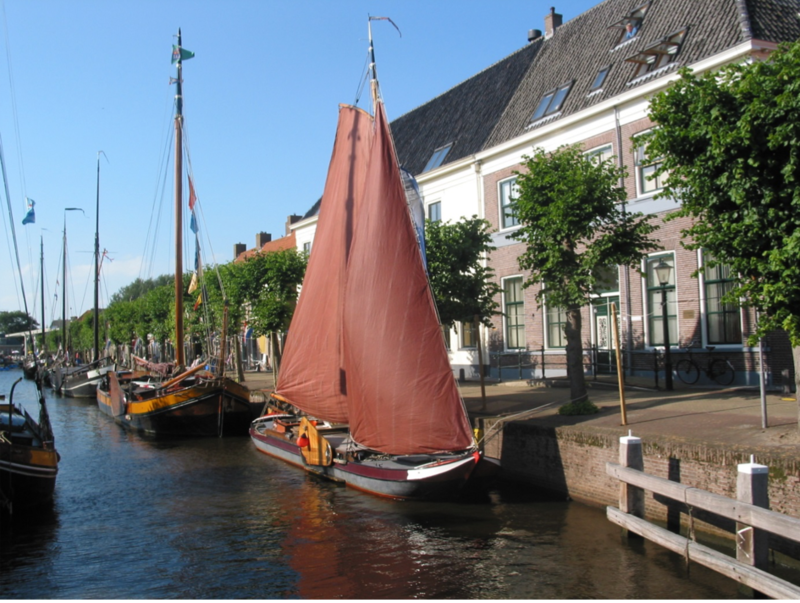 You will meet your guide for the next few days and get acquainted with your “two-wheeler” before you start your day of riding through the countryside, passing typical Dutch fishermen villages with traditional houses, canals, and open fields. Enjoy a regional lunch and then continue your ride in the afternoon passing by the windmills area, the “Zaanse Schans”, a community of only 40 homes on the banks of the river Zaan. You will reach Duin & Kruidberg Country Estate by dinner time. This location is filled with lots of character and located in the national park. Enjoy your dinner here, and the rest of the night is at your leisure. The bicycle equipment, together with the rider guide and the routes, is one of the most important factors in creating a successful bike tour. We have chosen all the bike rental equipment with careful consideration; only the highest quality and they are all fully adapted to European cycling conditions. Every item has a proven track record regarding performance, reliability and safety. The range of gear is for all ages. Besides touring bikes, we can provide electric bikes, road bikes, tandem bikes and children bikes, all of them of Dutch top quality! You can also decide to bring your own bicycle. After Breakfast, prepare your bags and check-out of the hotel. While your bags will be dropped off by car to your next destination, you will continue to explore by bicycle the beautiful countryside. You will ride mainly through pathways crossing the coastal forests of the Zuid-Kennemerland National Park with old trees, sand-dunes, wild deer and ponies. You’ll enjoy lunch at a beachfront restaurant and then continue your ride. 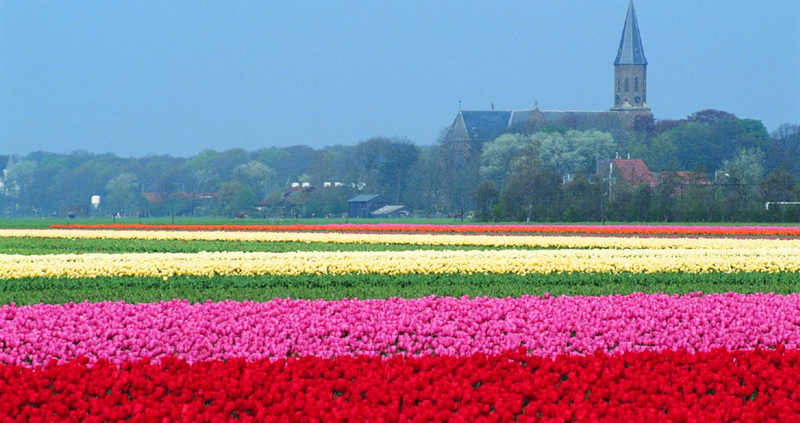 This afternoon’s ride will bring you through the flower-bulb region with endless tulip fields. Of course, they are not in season all year round, but the region remains very charming. Passing windmills, meadows, fields, and authentic villages. Finally, you will arrive at Villa Beukenhof. Enjoy a relaxing evening at the hotel. Today you will have a mixture of a country-side ride and an urban ride. In the morning, you will continue your way down to the South, riding on the bicycle path through the countryside until you get to The Hague. 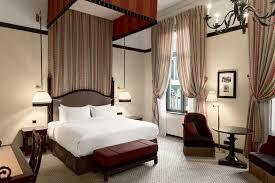 You’ll have the chance to settle in at the Hotel des Indes, which is perfectly located in the city center. In the afternoon, meet your historian guide and visit the political capital of the Netherlands. On the way, you will stop at the Panorama Mesdag for a behind the sense visit of the cylindrical painting that is more than 14 meters high and about 120 meters in circumference. The cylindrical perspective creates the illusion that you are on a high sand dune overlooking the sea, beaches, and village of Scheveningen in the late 19th century. To end off today’s adventure take a ride by Scheveningen beach boulevard, the rest of your night will be at leisure at the hotel. After breakfast, check-out of the hotel. Today you will be biking in the direction of the nearby charming city of Delft, Vermeer’s hometown. Visit the massive Gothic New Church, where generations of the ruling House of Orange are buried and revered. Delft is the home of the House of Orange as well as the master painter Vermeer. Visit the Royal Delft factory, the last remaining Delft Blue pottery factory from the 17th century. Get back on your bikes and continue to Brielle, a very old fortified town, a historic seaport at the mouth of the New Maas River where you will enjoy lunch. In the afternoon, because of the long distance, your bikes will be transported by the support van while you will continue by car to Browershaven, another typical seafront village. On the way, you will discover how a country stays dry when nearly half of its land is below sea level. Over centuries, the Dutch created an immense system of dams, barriers, and dikes for protection from the North Sea — the Deltaworks. After a short walk in Browershaven, get back on your bike to bicycle for the final ride of the day to the hotel in the village of Schuddebeurs. Enjoy the rest of the night at the hotel at your own leisure. Today you will spend the full-day in Zeeland! In fact, unless you walk on top of a dune, you will spend the entire day ‘below sea level’. Here you will experience the fresh wind in your face, and the sound of waves as mudflats and marshlands come and go, as you pedal to the beautiful village of Middelburg. Get ready for your last day of riding. You will leave the hotel in the morning and after a short ride, you will board the ferry to cross the Scheldt river! Once on the other side, get back on your bike, ride up to Sluis, another charming fortress town on the border between Holland and Belgium. After fast formalities, enter to Belgium until you reach Damme, a picturesque medieval town in the green Flemish polders where you will stop to enjoy lunch. In the afternoon, you’ll take a ride to Bruges. Here you will explore the stone’s throw from Damme. From here you will ride to the hotel and check-in. 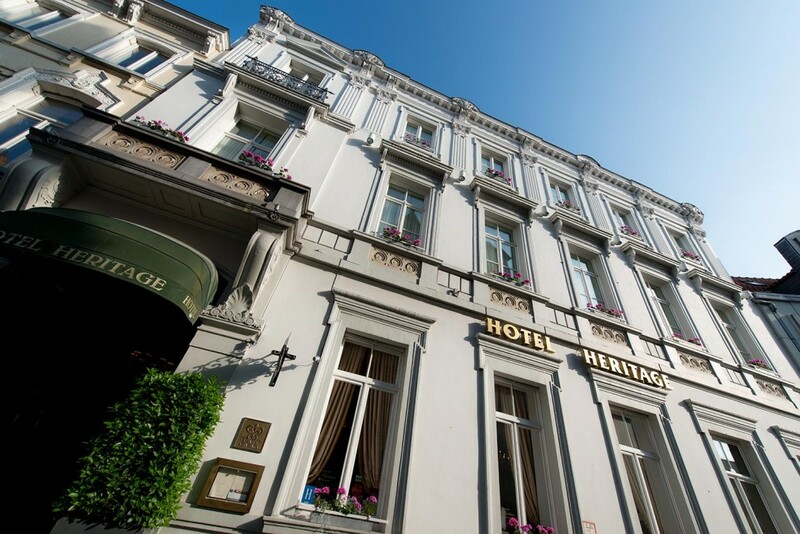 Hotel Heritage is very well located in the historical city center. At the hotel, you will say good-bye to your bicycle team and have your first encounter with Bruges. You will take a drive to the open fields around the city for an exciting hot air balloon experience! Seeing the beautiful view of Bruges from the air is unforgettable. Head back to the hotel to reflect and relax for the rest of the evening. 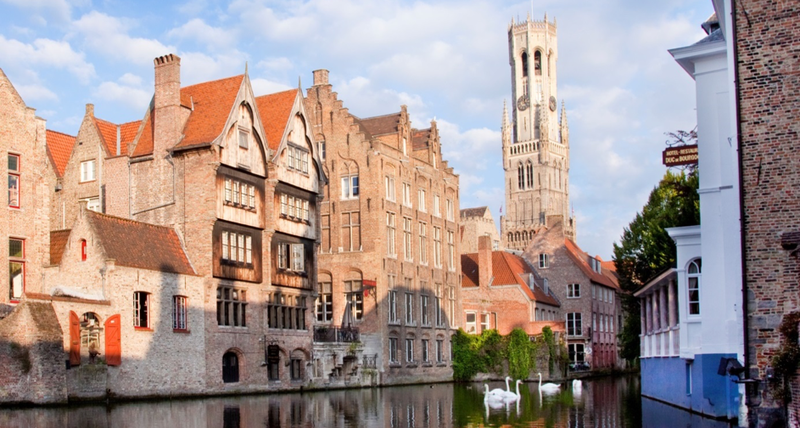 After breakfast, you will meet your guide in the lobby of the hotel and enjoy an unexpected tour on foot of beautiful Bruges, the best-preserved example of medieval Flanders. En route you will walk through small streets, pass nice green parks, see picturesque houses and some of the city’s highlights: the Beguinage and Minnewater, the Burg and city hall, the belfry (for the brave ones: climb 366 stairs all the way to the top of the Belfry and enjoy the great view over the Market Square.) You will also have the chance to visit the church of our Lady, the old nunnery, and St. Saint Saviour’s Cathedral. At the end of your visit, enjoy a 30min boat tour through the waterways, and lunch at your leisure. After lunch, enjoy a 1.5hr behind the scene visit of the brewery Halve Maan. For centuries the Maes family has been brewing beer in Bruges. Learn the history of the brewery and enjoy a tasting of their delicious world-famous beers: Brugse Zot or Straffe Hendrik. End the day off by visiting some of the finest chocolate shops. There are over 46 chocolate shops Bruges, so you will definitely find something you like. Take your treats back to the hotel and enjoy the rest of the evening at your leisure. Enjoy breakfast at the hotel and check out at the time previously arranged. 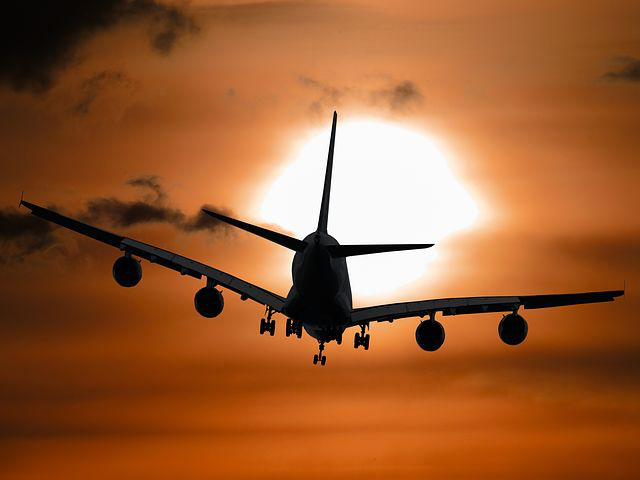 Your driver will meet you at the hotel and transfer you to Brussels airport to board your flight home. To arrive at Duin & Kruidberg Country Estate is to enter another world where you can immediately begin to relax and unwind. 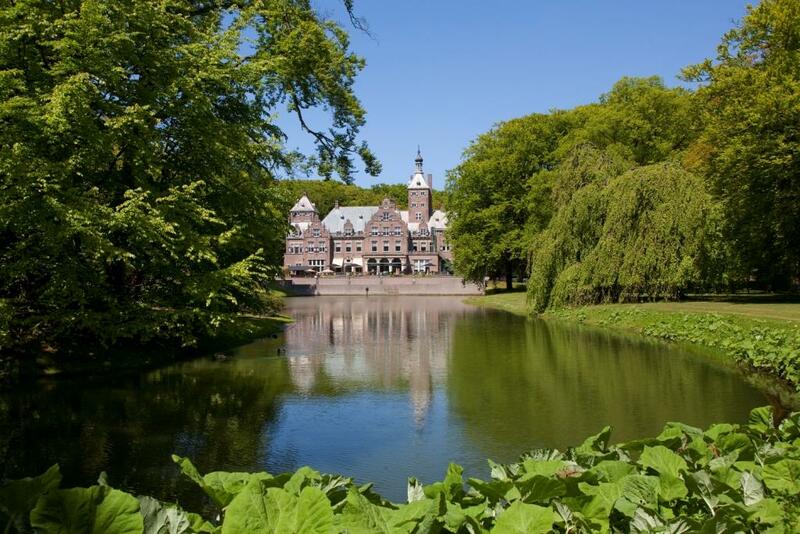 There is plenty to discover and enjoy here – from the classic country house and the lovely English estate garden to the exceptional natural beauty of National Park Zuid-Kennemerland. We want you to enjoy yourself in style here, in an informal and genuinely hospitable atmosphere. This polished boutique hotel is a 5-minute walk from a street lined with eateries and shops, and 5 km from the Hortus Botanicus Leiden gardens. Themed after global cities, the individually decorated suites feature modern and/or antique-style furnishings. There are a chic French restaurant and a cozy bar, plus a cigar lounge and a garden terrace. 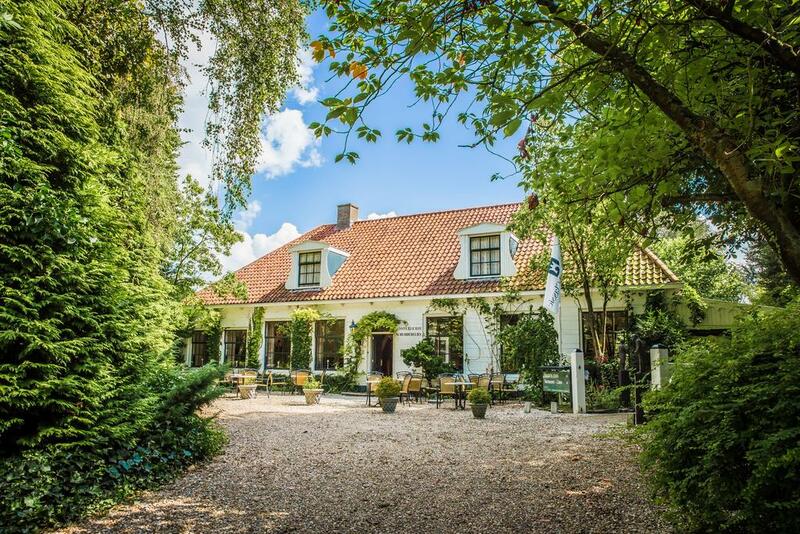 is a hotel in the countryside of Zeeland with a gourmet restaurant. The restaurant serves regional and seasonal dishes throughout the year. Enjoy the wooded area in our garden with a terrace. 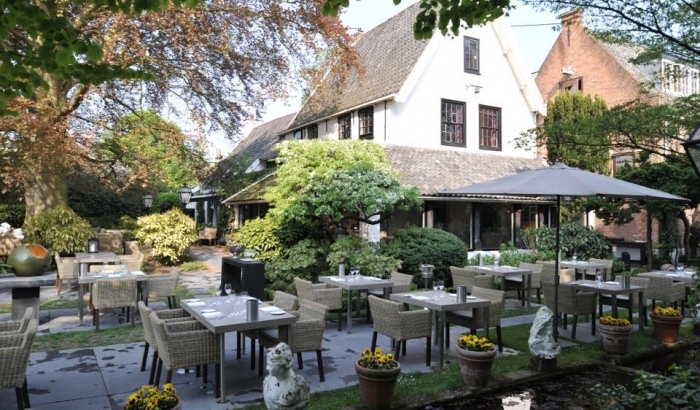 Set in a charming stone building surrounded by trees, this tranquil hotel is walking distance from local history at the Stadhuismuseum and 4 km from the Sint-Lievensmonstertoren freestanding church tower. Enjoy Bright rooms In a brick building, that is only a 3-minute walk from the Zeeuws Museum, this polished boutique hotel is a great location. About 4 minutes walk from Vleeshal Markt contemporary art museum and an 8-minute walk from Middelburg train station. Warmly furnished rooms come with free Wi-Fi, and sitting areas. A complimentary breakfast buffet is available, and there’s also a sophisticated restaurant offering terrace seating, high tea, and seafood specialties.